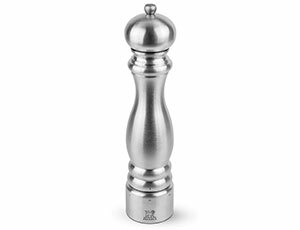 https://www.cutleryandmore.com/peugeot-paris/stainless-steel-7-inch-uselect-salt-mill-p135838 35838 Peugeot Paris Stainless Steel Mills with u'Select https://cdn.cutleryandmore.com/products/large/35838.jpg 49.9500 USD InStock /Kitchen Tools/Kitchen Tools The Peugeot Paris Stainless Steel u'Select Salt Mill provides ultimate flavors for preparing and serving meals. 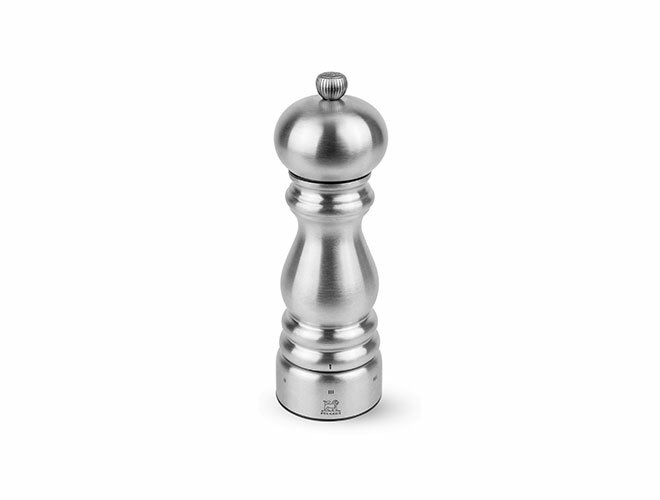 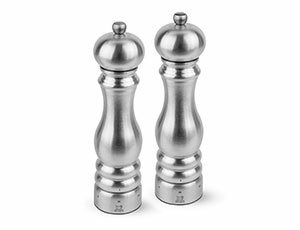 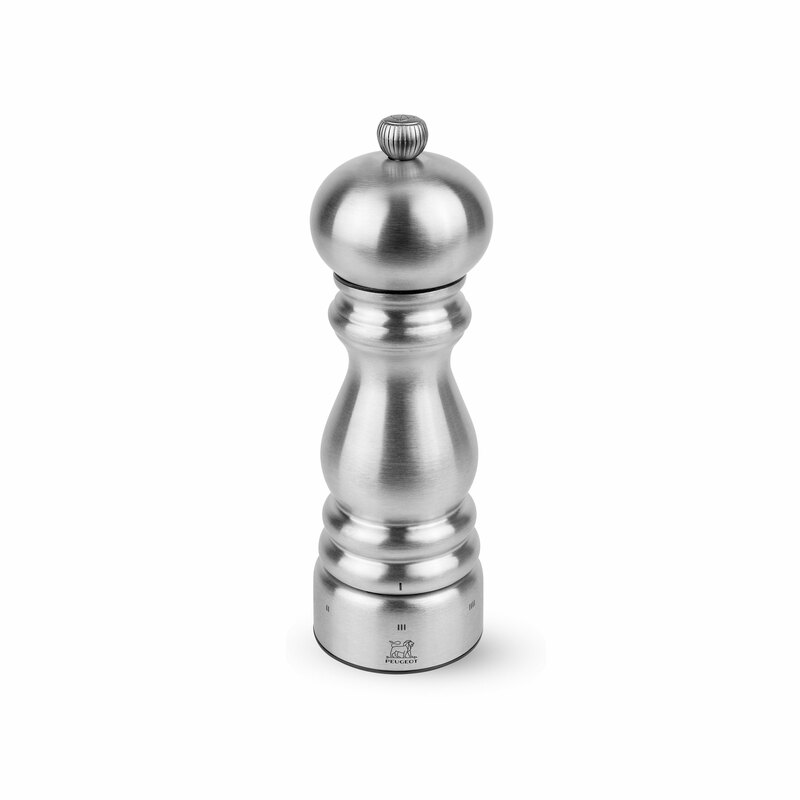 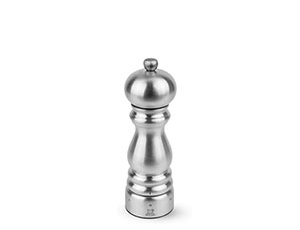 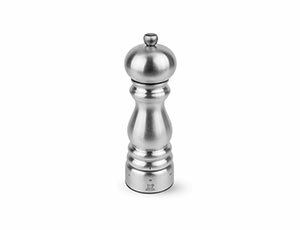 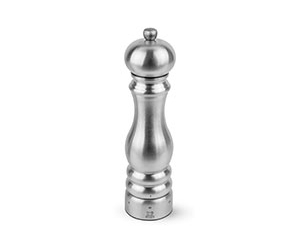 With a sleek silhouette, this Paris mill is featured in stainless steel with a stainless steel knob. 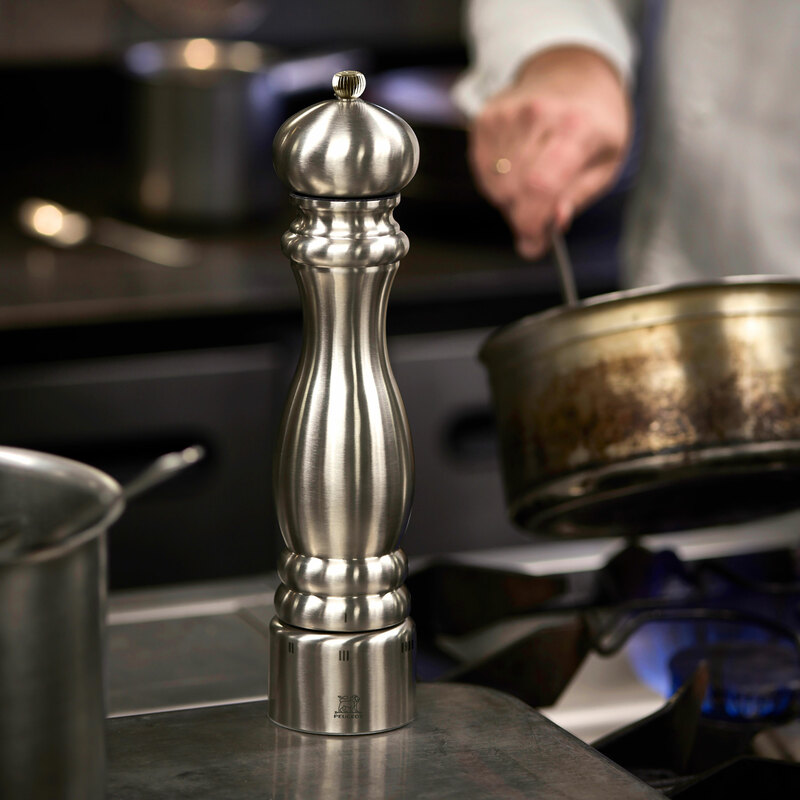 Featuring high quality stainless steel for the ultimate in durability. 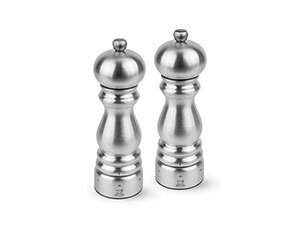 When it comes to salt, everyone has their own preferences in adjusting the seasoning in their food. 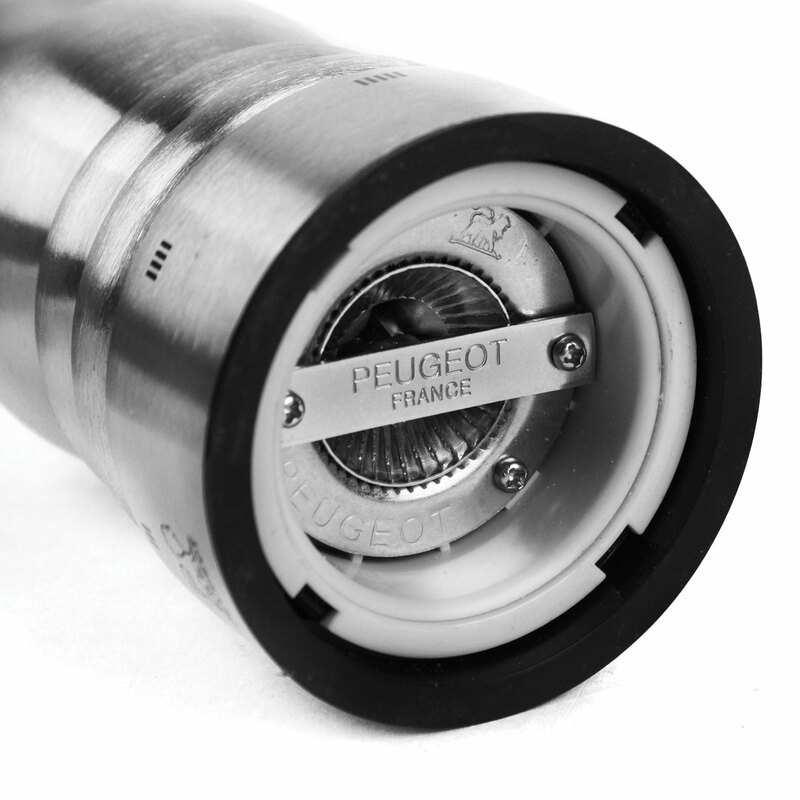 The patented u'Select system, features several pre-selectable grind settings. 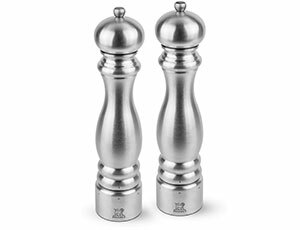 From powdery-fine to very coarse salt, u'Select offers pre-set adjustments including 6 pre-defined levels of grind for salt.